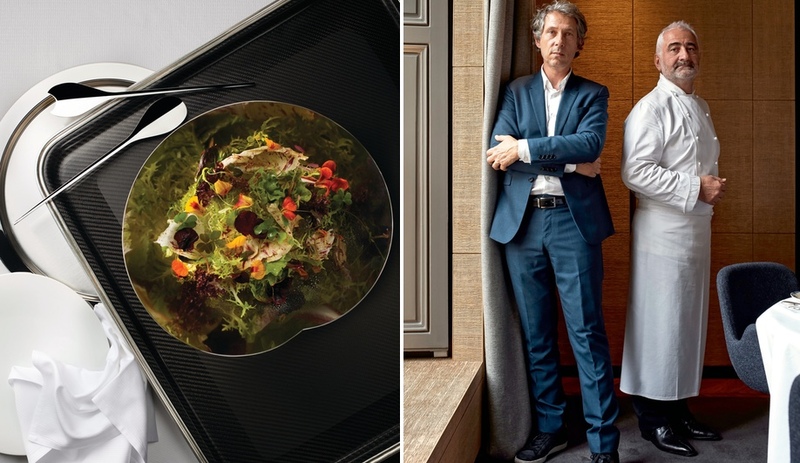 The Italian home accessories brand teamed up with Paris chef Guy Savoy on a stainless steel bowl and utensils that make the salad the centrepiece of the meal. 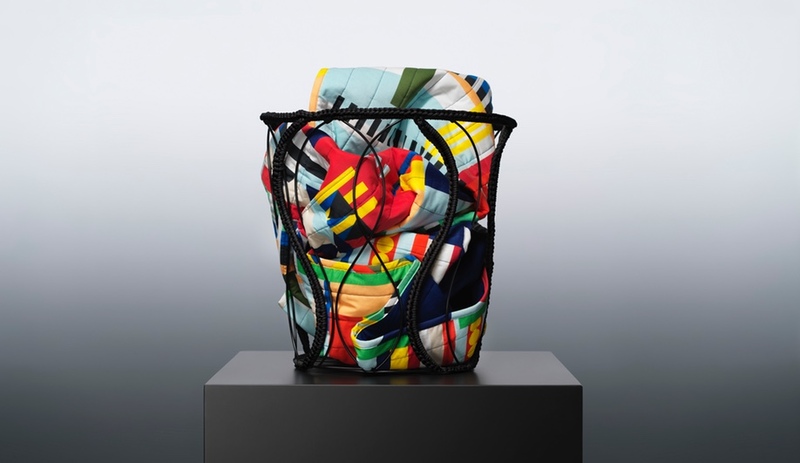 Alessi’s newly debuted spring/summer collection for 2016 boasts a number of marvels, from UN Studio’s Ribbon bottle rack to the limited edition – and wackier than usual – Furbo bowl by the artists known as KINGS. But our favourite is a salad collection that the Italian housewares brand whipped up in collaboration with Guy Savoy, head of the eponymous Paris restaurant. 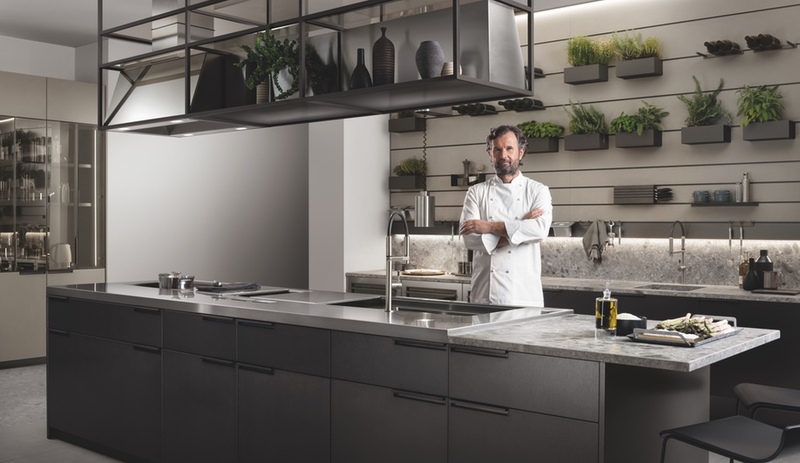 The Human Collection, as it’s called, was created by French designer Bruno Moretti with input from the Michelin starred chef. 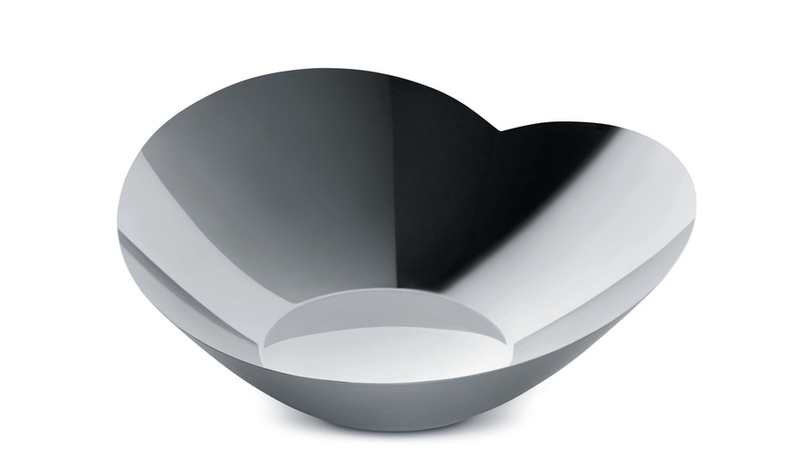 The central piece is a bowl – made of 18/10 stainless steel with a mirror finish – in a shape reminiscent of a heart. It has a curvaceous rim with a dip in the centre. 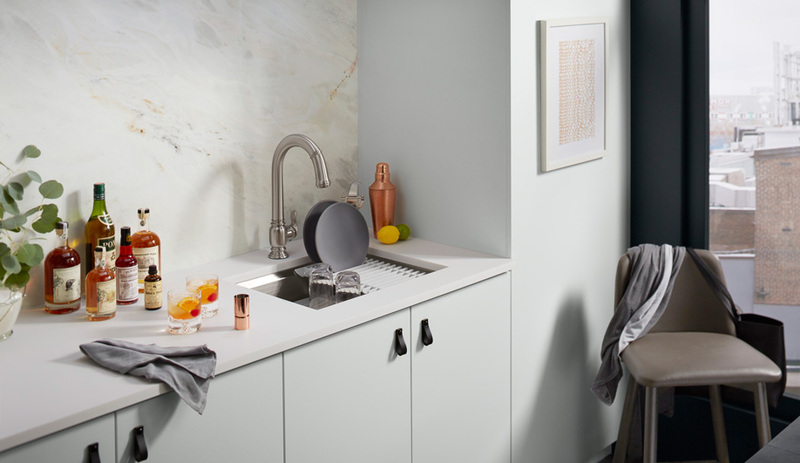 While it seems like a perfect solution for supporting the elegant utensils that Moretti designed for the bowl – doesn’t everyone hate it when the tongs slide down into the salad? 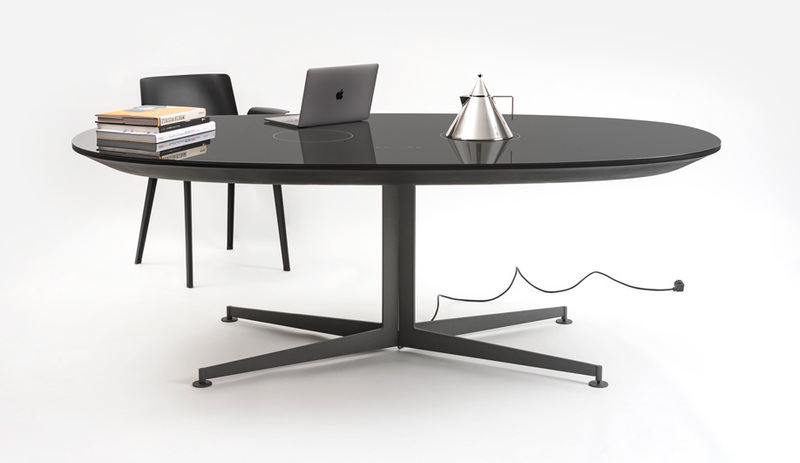 – the form has both a sentimental and functional purpose. 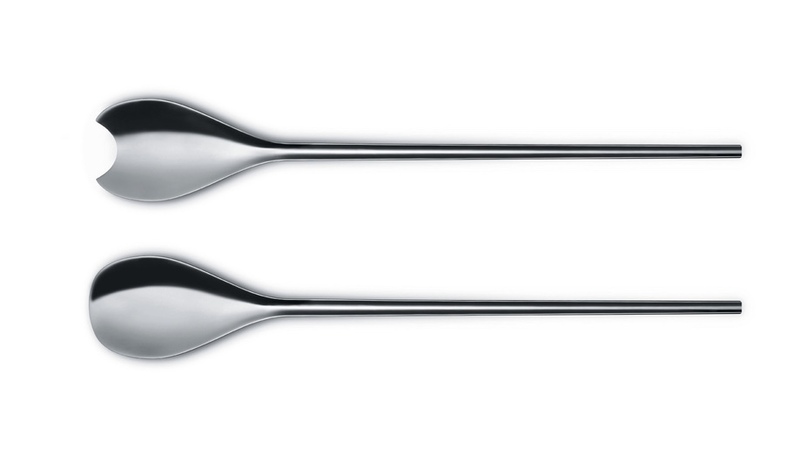 In addition to the elegant servers, Alessi offers a little spear for amuse bouches and desserts. 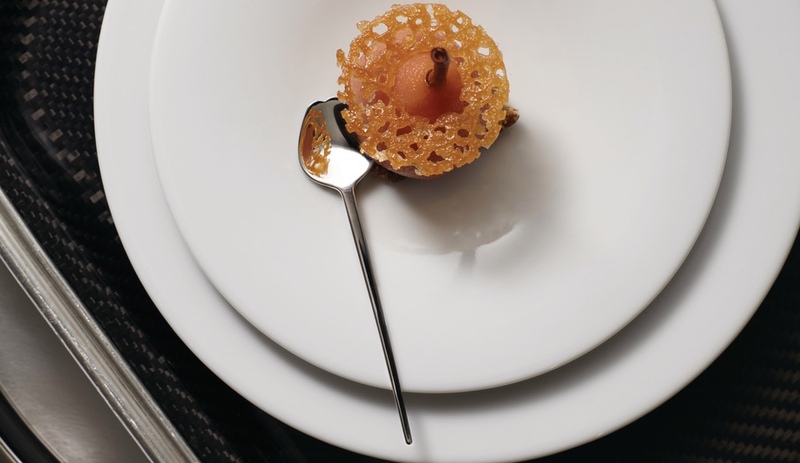 This utensil, the company explains, “is often used in the Guy Savoy restaurant to present and serve small welcome toasts or sorbet at the end of the meal.” It’s shaped like an artichoke leaf, which allows it to be used as a skewer and a spoon – a little bowl for creamy foods in and of itself. 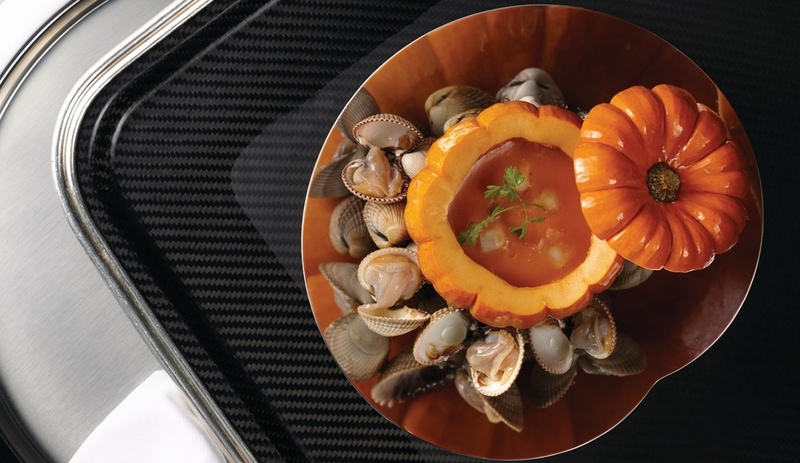 Alessi’s collaborations with food industry icons are often wildly successful. Last year, the brand debuted Michele de Lucchi’s Pulcina espresso moka – a team effort with Illycafe that has proven so popular that orders far exceeded expectations.